Two asteroids over 30 feet in diameter missed crashing into the Earth on Wednesday. The startling news is that they passed between the earth and the moon, about 50,000 miles away. Scientists tracked the asteroids for 3 days before the close encounter. Amateur astronomers here on earth would have seen the asteroids as small specks of light in telescopes. 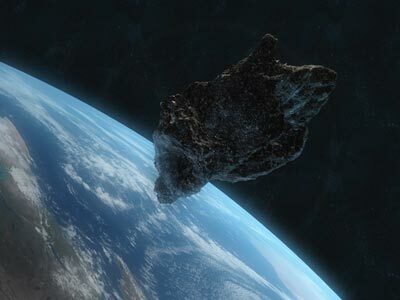 Due to the asteroids size, they would have burned up completely in the earth’s atmosphere, but would have put on an exciting fireworks show as they burst into flames.